If you want to run emulators on your iPhone (or iPad), you’ve basically got two options: Use this crazy workaround which involves rolling the date of your device back to 2012 and installing old, previously signed emulators. Alternatively, you can just bite the bullet and jailbreak and install any number of emulators that people are actively developing on Cydia. Well, as of this weekend there’s a third option. Like the previous two solutions, the third isn’t very ideal either, but if you want to play NES games on your iPhone, it’s worth checking out. Thanks to a new open source web app webNES, you can now play NES games on iOS devices without jailbreaking or installing anything. It runs a little slow, even on my iPhone 5s, and sound only works through headphones, but the fact remains: It works. Load up webNES on your iOS device. Optionally, hit the center up arrow icon in the bottom of Safari and add it to your home screen if you want it to behave a bit more like an iOS app. From there, you can play a number of pre-loaded non-Nintendo games just to experiment with how it works. Sign up for Dropbox, if you haven’t already, and then install the Dropbox client on your computer. 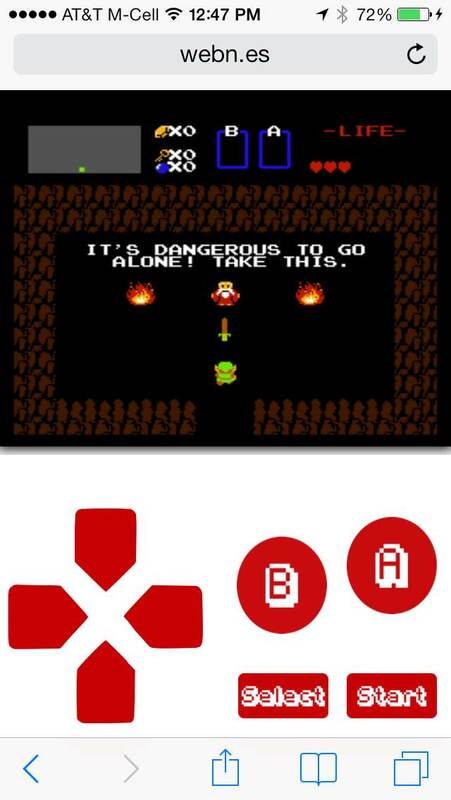 Put .nes ROM files (not zipped ROM files) anywhere you want on your Dropbox, as long as you remember where they are. Go back to webNES, hit the “+" icon in the top right corner, log in to Dropbox, and navigate to where you stored your .nes files. Tap the .nes file you want to play, tap “Choose", and you’re ready to roll. Go back to webNES and your game will be there that you can tap to play. As you can see in the above screenshot, webNES can be played in portrait mode with virtual controls below the game. 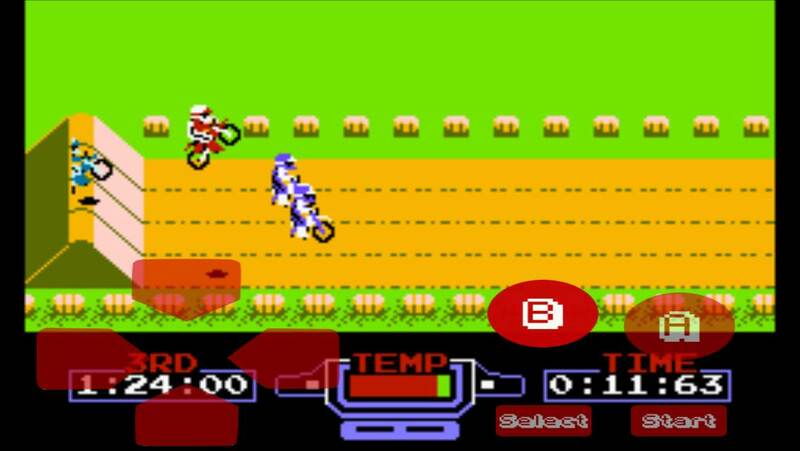 Alternatively, you can play in landscape mode with controls over the game itself. Considering NES games weren’t at all made with the idea that 2/3 of the screen might be covered by your fingers, portrait is definitely the way to go. 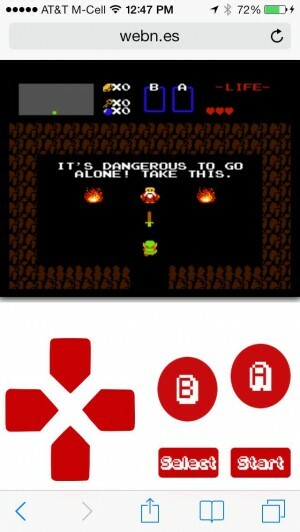 Even though webNES isn’t an ideal solution for playing NES games, it has one massive benefit over the other ways to play emulated games on iOS devices: It doesn’t require jailbreaking, and running in the browser it can never be removed from the App Store by Apple like the previous emulators that have sneaked through the approval process. Also, being an open source project available on github, chances are it’ll only get better as it gets more popular and more people get involved in the project.